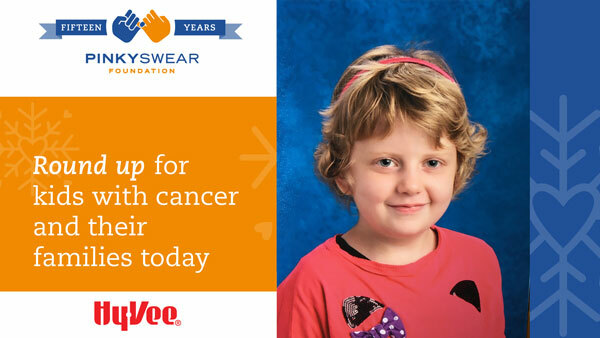 Join Hy-Vee, Inc. in supporting Pinky Swear Foundation this holiday season. 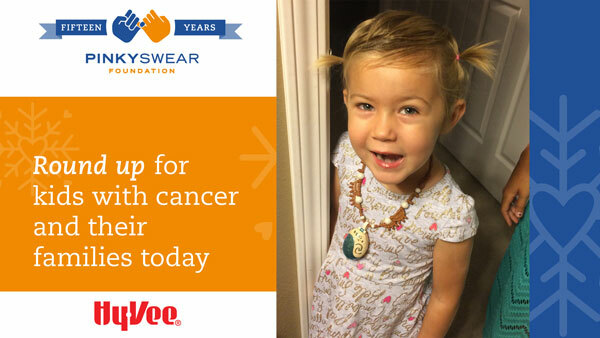 From December 1 through December 16, round up your in-store Hy-Vee purchases to the nearest dollar and the difference will be donated to Pinky Swear’s mission of helping kids with cancer and their families. 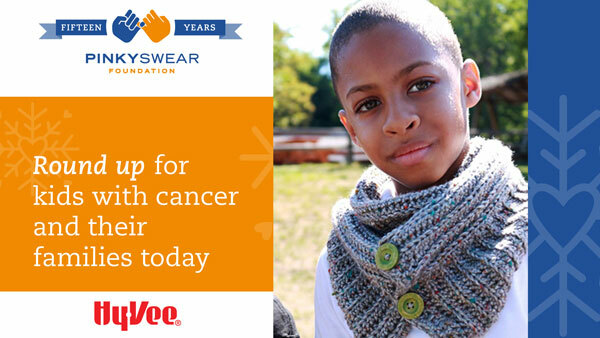 Learn more about Pinky Swear's mission and donate online at pinkyswear.org.